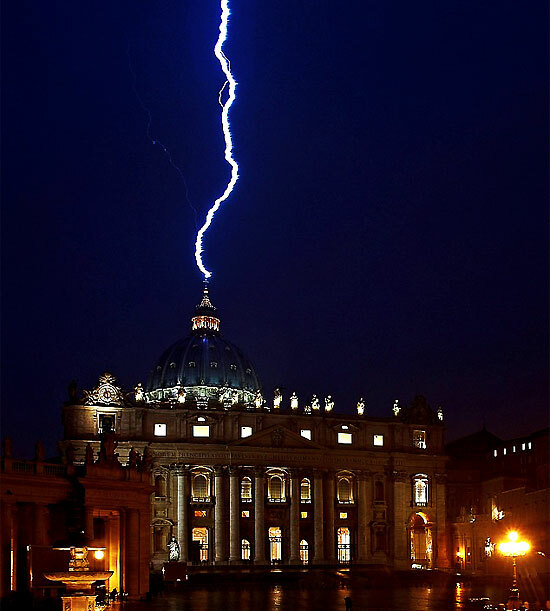 Lightning strikes on Vatican reported around or after Pope's announcement to resign. Coincidence? News events can provide opportunities to reach out for Jesus Christ. I believe there are some genuine believers in the Lord Jesus Christ in many churches that I would NOT consider Christian churches. I know also, of so-called Protestant Christian churches which are NOT truly Christian in their leaderships and doctrines. We can use this very same argument, with Roman Catholics, that there are folks in every church that need to personally embrace Jesus Christ. We should approach Catholics with honest interest, asking good questions about their church, and also about their own relationship to God and Jesus Christ. True Christianity involves personal salvation through faith in the Lord Jesus Christ, the priesthood of each believer because Christ personally indwells each believer through the Holy Spirit, and truth is found in God's Word which is providentially brought down through history to us and we are guided in this truth by the indwelling Holy Spirit. Wikipedia's article on Sacerdotalism shows that Roman Catholicism is much different from Biblical Christianity. Lots of videos at YouTube on this subject. There are certainly seriously wrong doctrines in Roman Catholicism. But, perhaps a good approach to these subjects is to criticise wrongful doctrines in our OWN churches. The Apostles Creed and Lord's Prayer which Catholic and many non-Catholic folks recite are both handy, concise, valuable, statements of Christian belief. They both correctly identify God as a straight male - that is the true meaning of the word "Father." But, if you will "pin down" supposedly bible-believing teachers, asking them if God is a male - as the whole bible teaches -- the overwhelming majority will say, "no" -- that God does not have gender. They are, in effect, testifying that Jesus Christ is ignorant, or lying. Truth is -- Jesus Christ is EXACTLY CORRECT - God is a spirit with a male spirit body - the bible teachers are ignorant and lying, not Jesus. Or see my other web site, GodIsAStraightMale.com. As a worker at a government hospital, I enjoyed talking with the Catholic Chaplin and other Chaplins. I would very carefully avoid addressing the Catholic Chaplin as "Father" as everyone else customarily did. In Matthew 23:9 Jesus Christ warns us NOT to call any man "father" on earth. So, I obey Jesus -- I call my earthly father, "DAD". I'm quite sure the Catholic Chaplain knew why I addressed him as "Chaplin," "Pastor," or "Sir". The "vibrations" were that he did not especially like it. Sometimes it was my job to announce that Catholic Mass would start at certain time in the Chapel. I always used the term "Catholic Services," not mass. The "Mass" is an awful, repetitive, SACRIFICE OF CHRIST. The MASS is NOT CHRISTIAN COMMUNION. Folks, are allowed to think it is Communion. Catholic theology is that the bread (wafer) and wine are turned into Christ's ACTUAL body and blood, by the priest. Then Christ is sacrificed, AGAIN, in the MASS. The Mass is specifically said, in Catholic theology to be an UNBLOODY SACRIFICE. In Hebrews 9:27, shown later, shedding of innocent blood is REQUIRED for remission of sins. 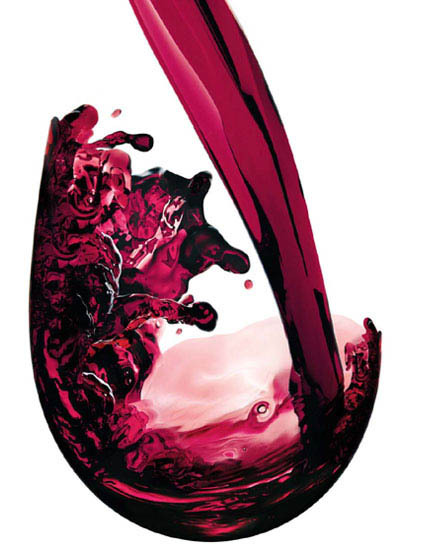 I understand that real strict Catholics do NOT take the wine, biblically symbolic of Christ's blood. The Mass is specifically said to be an UNBLOODY sacrifice. See -- Bishop: Bread alone will do for Communion at most Masses and links. Also see Wikipedia - Eucharist in the Catholic Church and links. The reader must be diligent because a lot of cryptic language is used, to say, UNBLOODY, means NO wine. I understand wine is NOT normally served to laity in staunchly Catholic countries. The Priests only have the wine. In the United States, and other countries where there is competition from Christian Communion in non-Catholic churches Catholic churches seem to be compelled to use both the wafer and wine for the laity at their Mass. The reader may be shocked that I believe the substitution of grape juice in place of wine at many church communion services is totally UNAUTHORIZED from God. Grape juice DOES NOT substitute for wine. Thus, these churches are effectively refusing the blood of Christ, which is ONLY symbolises by wine, same as the Catholic churches are doing in their Masses. 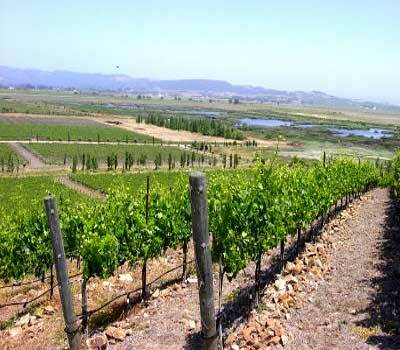 See my pages -- Wine Only at Christian Communion and They Have No Wine -- for more detail on this. THE CATHOLIC CHURCH WILL NOT ALLOW ANYTHING OTHER THAN WINE (WHEN IT IS USED) - EXCEPT BY SPECIAL PERMISSION OF THE BISHOP!!! STUNNING, THAT IN THE MASS, WITH ITS WRONGFUL RE-SACRIFICE OF CHRIST, AND ITS AWFUL UNBLOODY MANOR, ONLY THE GENUINE "VIRTUAL BLOOD OF CHRIST," REAL WINE, IS PERMITTED. Also see my page on 1 John 5:7-8 - the latter part about the earthly witness of Christ's blood, wine being the virtual Christ's blood. Ephesians 1 shows us that true Christian believers are SEALED by God and can never be lost. HOWEVER - Hebrews 6, below, shows that IF IT WERE POSSIBLE, the required RE-SACRIFICE of Christ would subject him to open shame. New Testament passage Hebrews 9, below, shows the SACRIFICE OF CHRIST IS ONCE FOR ALL TIME. This is in contrast to the repetitive offerings of bulls and goats, etc., in the Old Testament Sacrifices. 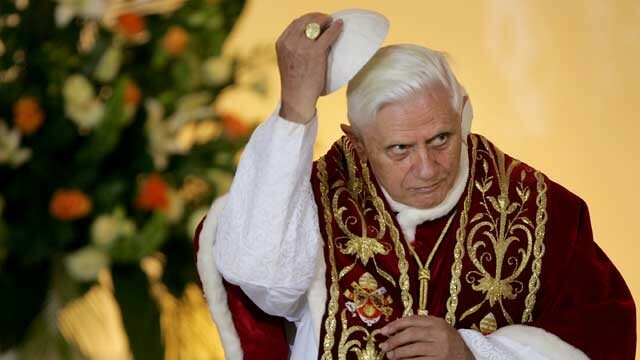 Roman Catholicism IS NOT CHRISTIANITY, though it claims to be Christian. The same is true of many non-Catholic churches which also claim to be Christian. Any person directly embracing and believing on the Lord Jesus Christ permanently becomes a Christian according to the New Testament. Wikipedia's article on Sacerdotalism shows that Roman Catholicism is much different. "Sacerdotalism is the belief that propitiatory sacrifices for sin require the intervention of a priest. That is, it is the belief that a special, segregated order of men, called the priesthood, are the only ones who can commune directly with God or the gods. This system of the priesthood is exemplified by the priests in the Old Testament. The term sacerdotalism comes from the Latin sacerdos, priest, literally one who presents sacred offerings, from sacer, sacred, and dare, to give. The related Latin term Sacerdotium refers to the earthly hierarchy (of priests, bishops, etc.) whose primary goal is the salvation of the soul." According to Roman Catholics, sacerdotalism, in the documents of Vatican II, is the teaching that through the ministry of priests, the spiritual sacrifice of the faithful is made perfect in union with the [eternal] sacrifice of Christ, the sole Mediator. Through the hands of the priests and in the name of the whole Church, the Lord's sacrifice is offered in the Eucharist in an unbloody and sacramental manner until He Himself returns. Thus priests exercise within the Church a function of the apostles. They are empowered to perform the ministry of the Word, by which men are formed into the People of God. They catch up and draw into the Eucharistic Sacrifice the spiritual sacrifice of the common priesthood of the faithful. St. Thomas Aquinas puts it this way: "Although Christ's passion and death are not to be repeated, yet the power of that Victim Jesus endures forever, is eternal, for, as it is written, (Hebrews 10:14), 'by one oblation He hath perfected for ever them that are sanctified.'" Then he notes that the priest participates in that one eternal "redemptive act" (on-going offering) sacramentally. His thinking runs like this: Jesus is both human/temporal and God/eternal. His offering on the cross was both eternal and human. In virtue of Jesus and his actions being eternal, his act of giving/offering on the cross has no beginning and no end. (There is no beginning or end in the eternal.) It is an on-going offering and advocacy in eternity or heaven. In virtue of being part of the body of Christ (through baptism) the people of God, through a designated minister (priest), participate in this ongoing offering, advocacy, or sacrifice of Jesus sacramentally." See the Wikipedia article for more detail.